Amid the chaos of coaches’ play calls and rugby players being signaled by the whistle, the sidelines featured a new, less intimidating addition: Baby Bo Hebdon. Bo’s mom, Rebekah Hebdon, is a former team member. 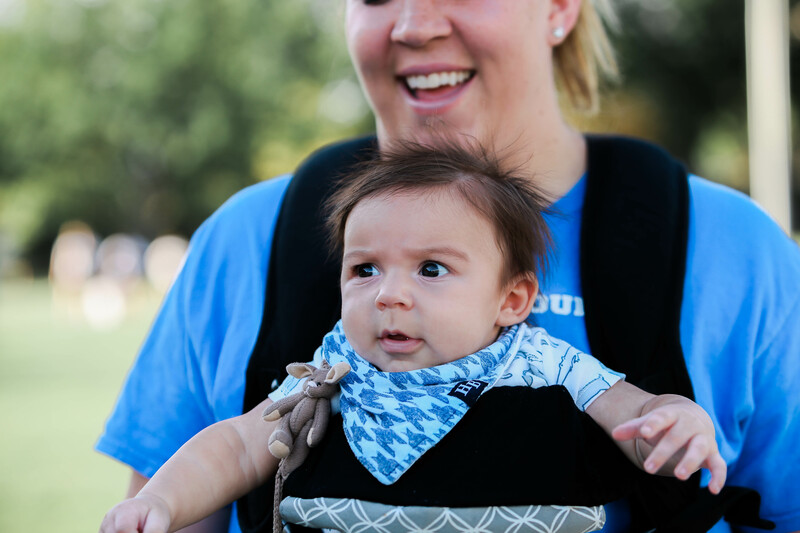 She said her journey through collegiate and professional rugby was integral in preparing her to raise Bo. Hebdon began her rugby career in 2011 during her sophomore year at BYU. 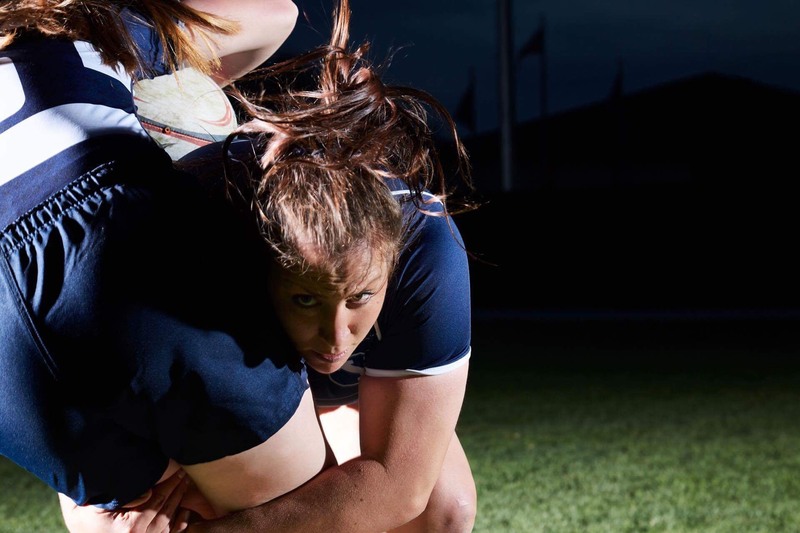 Before coming to BYU, she had no rugby experience. Hebdon’s twin sister, Rachel Boaz, was a goalkeeper for the Cougar’s soccer team from 2015–16. 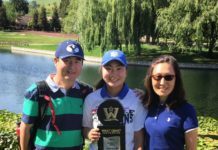 Hebdon recalls wishing she played sports at the college level every time she watched her sister compete. 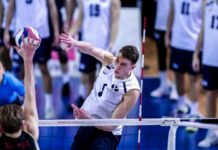 With no experience, but a desire to compete at the next level, Hebdon started what would soon become a roller coaster journey. Women’s rugby head coach Tom Waqa remembers the impression Hebdon left at her first tryout in 2011. Hebdon was an integral part of the women’s rugby program both before and after it earned official extramural status at BYU, helping the team reach the final four in the Woman’s Rugby National Championship series twice and the national championships once. Peterson is a fourth-year team member and plays the lock position in the forwards group, the same group Hebdon was part of during her time on the team. “(Hebdon) has helped make my time as a forward very rewarding because she inspires me to work hard,” Peterson said. After a successful career with the Cougars, Hebdon decided she wouldn’t end her rugby journey when she received her degree. After all, she had earned rugby All-American honors in 2013, 2015 and 2016. In November 2016, Hebdon played in a two-game tour with the USA national rugby team in France. It wasn’t long after her tour in France that Hebdon was chosen by the USA Eagles coaching staff as one of the 44 athletes in the women’s World Cup rugby pool. Before she competed in the world cup, a foot injury from a prior season refused to heal and Hebdon was forced to make a life-changing decision. Hebdon decided her health was more important than her professional career. 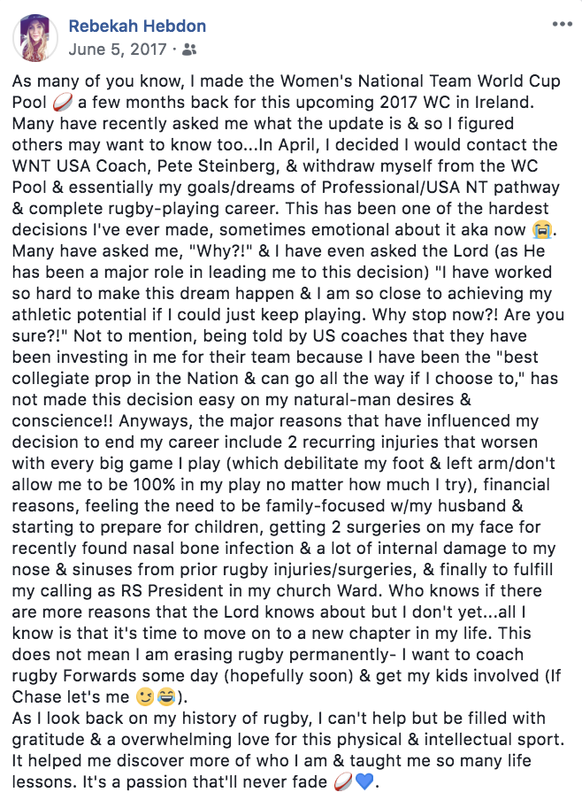 Hebdon announced her retirement from professional rugby in a Facebook post on June 5, 2017. Little did she know that her break from rugby would turn into the start of a new life as a mother. Her son, Bo, was born almost exactly one year later in June 2018. Hebdon said the tough and mental environment of women’s rugby prepared her for the challenges of motherhood. 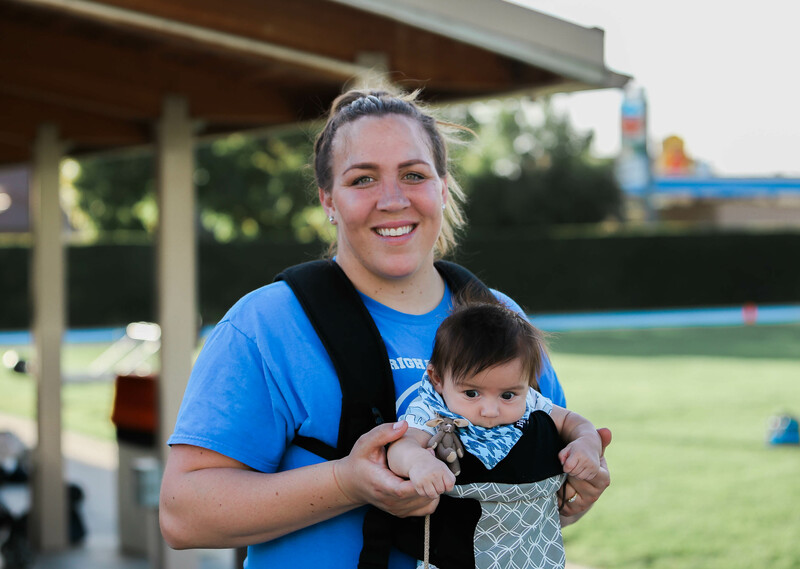 Along with her new calling as a mom, Hebdon found a way to satisfy her craving for rugby by helping as an assistant forwards coach for the BYU women’s team. Sometimes, she lets Bo come see the action, too. Current team members and coaches appreciate Hebdon’s expertise and are drawing inspiration and learning from Hebdon’s path in the rugby world. Most of the team began their careers with little to no experience, and Hebdon shows them that they, too, can become a professional. 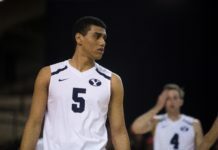 Dolli Player is a News Media student in the communications program at BYU. She can be contacted at dolliplayer@gmail.com.